Heinrich Adriaan du Preez, also known as “the Radical golfer”, is a South African golfer and the holder of numerous golf related World Records and Guinness World Records, including playing a round of golf on all six continents in just five days. While many people play golf for sport or leisure, Heinrich uses his talent to help those in need. As a philanthropist, many of his golfing adventures and endeavors are geared at raising money for minorities and those who are less fortunate. He is truly dedicated to combining his talent and passion for golf with his mission to uplift the communities that he touches. 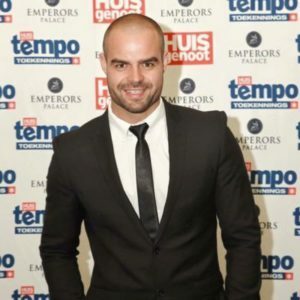 Heinrich is also a sought-after master of ceremonies and is regularly booked for everything from high profile store openings, gala eveings and sporting events to corporate functions, private parties and charity events. 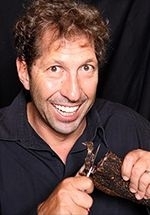 He has an impressive track record when it comes to encouraging people to donate money for causes and he holds the record for the most money raised at auctions. 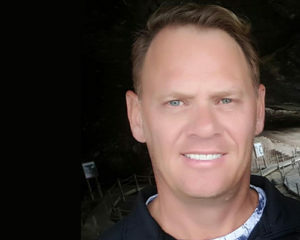 Besides being a philanthropist, radical golfer, world record holder and an acclaimed master of ceremonies, Heinrich is also a successful and driven business owner. Heinrich is the owner of the Goldfields West Golf Club, which has twice been rated among the top 20 courses in South Africa by the Compleat Golfer Magazine. He also owns a successful golf cart business as well as a water business, Electro Water, which is the world’s first electrolyte rich water. Heinrich is married to South African business woman, philanthropist and entrepreneur, Megan Germari Horak-Du Preez. In his free time he enjoys cycling, traveling and exploring everything that South Africa has to offer with his wife. Hannes Muller (born 1961) is a South African actor and director known primarily for his work in theatre, particularly as the lad character in the stage play Groet die Grotman (Greet the Caveman). He has acted in numerous television series as well including Meester, Generations, Iemand om lief te he, Deafening Silence, Onder Draai die Duiwel Rond, Parys Parys and Donkerland. 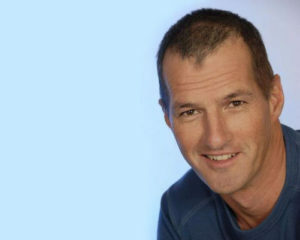 Darren Kelfkens is a South African actor, director and voice artist best known for his role as Joe Smith on the M-Net soap opera Egoli: Place of Gold, from 1997-2008. In the beginning, he worked as an actor and spent a few years as a stuntman. In 1991 he notched up his first professional experiences in all three major mediums: television, film and theater. He starred in a production of “There’s a Girl in my Soup”. Other theater productions include “Deathtrap” (1994); “The Angel, the Bicycle and the Chinaman’s Finger” (1996); “West Side Story” (1996); “A Streetcar Named Desire” (1998), among others. In 1996 Darren presented the show RCI Escapes and landed a supporting role in The adventures of Sinbad, which he appeared in for two seasons. He finally landed his breakout role in 1997, the role of Joe Smith in Egoli. David Louw is an avid stage and theatre performer making his debut in Paulus followed by Samurai. He has performed in Pick One (Theatr Uncut), Vaselinetjie, ‘n Tyd om lief te hê at the Foxwood Theatre, Nag van Legio, Hardloop Dominee at the Pierneef and Breytenbach Theatres, Monophobia, No Service Please, We’re South African!, at the Pretoria State Theatre as well as The Seagull. He has graced the stages of all major art festivals in South Africa. He is well known for the loved character, Petrus Steyn, on kykNET’s Villa Rosa. Arno Greeff has been climbing his way up the entertainment industry ladder professionally for the last 3 years. He started straight out of High School by joining the cast of Kyknet soapie “Binnelanders” for 9 months. He then expanded his horizons into film where he landed a role in the first South African surf film “Die Pro” as the lead antagonist. After doing a few short films and cameo’s Arno got his big break when he joined the lead cast (original) of Kyknet’s “Getroud met rugby:Die sepie”. His character, Tommie, has been a fan favourite since the first episode. During his time at Getroud met Rugby he took time off to play the lead Male in the feature film “Vaselinetjie”(Based on the book by the same name) which should be released late 2017 or early 2018. 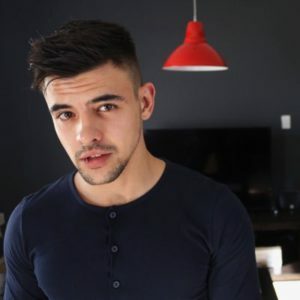 Arno has proven himself a name to be reckoned with in the local entertainment industry and is one of the top performing actors under 25 in South Africa.Arno Greeff is known for Die Pro (2015), Vaselinetjie (2017) and Verraaiers (2013).